Quick post from Singapore Ferry terminal. We are only here for a couple of days, coinciding with Chinese New Year’s Day. 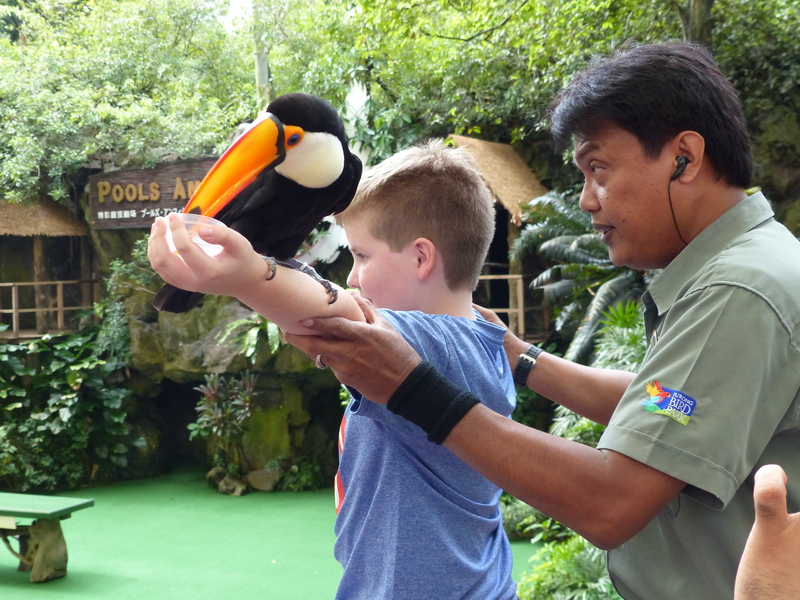 We spend the day at the Singapore Bird Park, where both Jack and Joe got picked to help out with one of the bird shows. 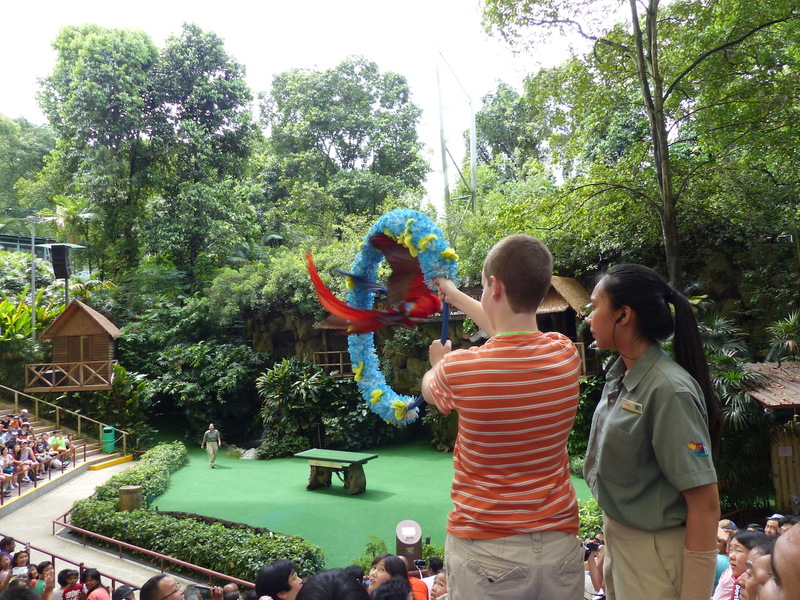 Jack holds the target for the macau to fly through. Great day! Tonight, we head to the Night Safari, run at the zoo after dark. For those family waiting for new Shutterfly pictures, I am sorry to say that nowhere we have been with wifi has a signal strong enough to post those photos – you’ll have to make do with the few I can post to the blog! Joe as a toucan perch! 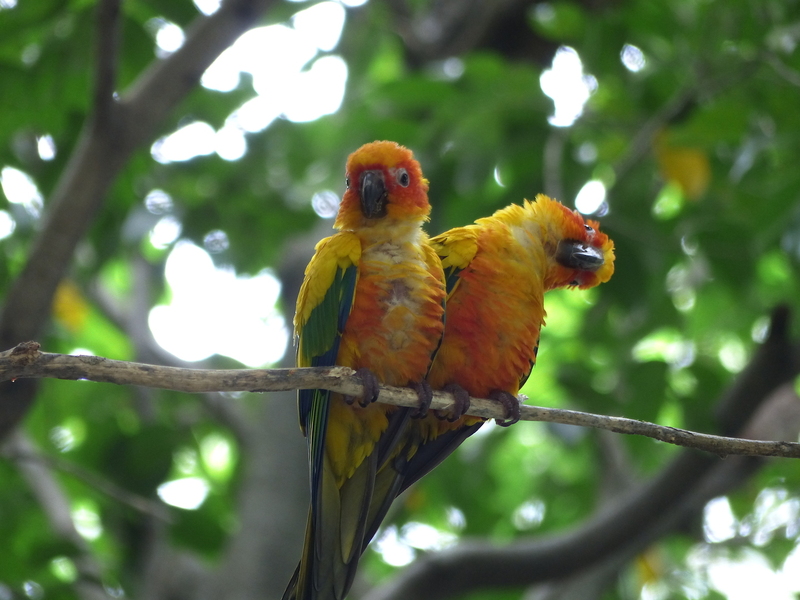 Just a couple of the beautiful birds we saw. 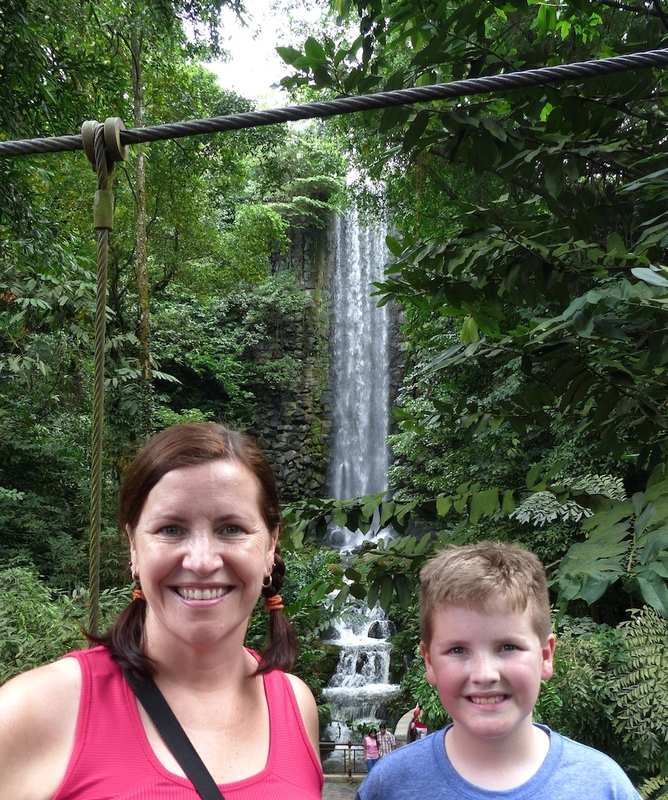 Joe and I enjoy the 100 foot waterfall.